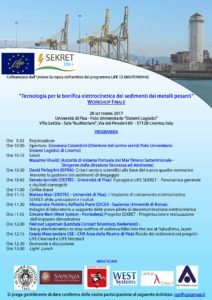 The SEKRET project will consist of different actions aimed at demonstrating that the innovative Electro- Kinetic Remediation (EKR) technology can effectively remove heavy metals from contaminated harbour dredged sediments from European ports. 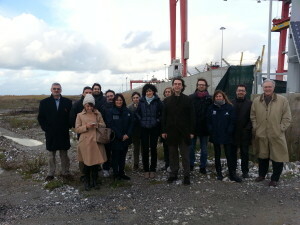 The innovative technology will be demonstrated in the Port of Livorno in order to prove the technical and financial feasibility of the project, as well as the environmental advantages compared to current management strategies (disposal in landfills and dumping at the open sea). The project will be realized at a pilot scale in a real port environment; it will demonstrate that dredged sediment with heavy metal and hydrocarbon concentrations over the agreed standards can be treated via EKR in order to reach full compliance. 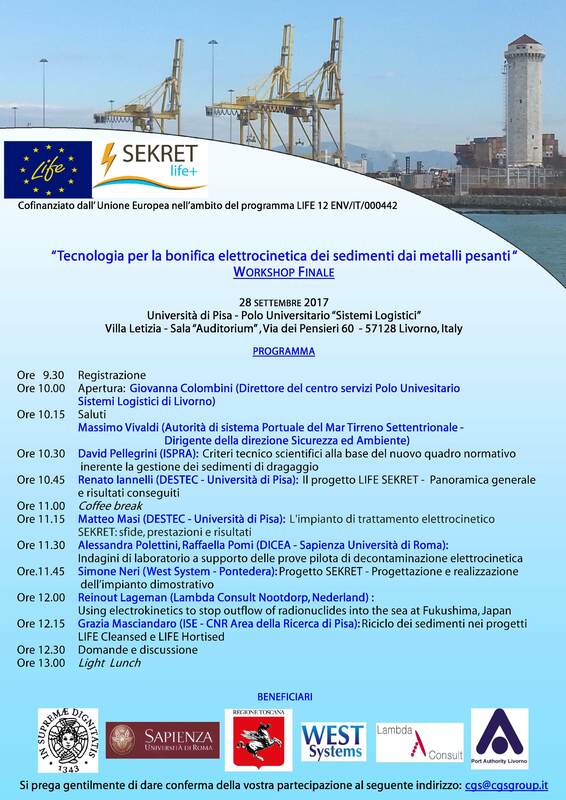 The main action will be the demonstration of the EKR technology by way of a demonstrative plant to be built in a dedicated area (500 m2 and already located in agreement with Livorno Port Authority) within the Port.